Goodreads Description: The penalty for stealing is losing your hand. No wonder Ali can leave his wallet overnight in his office. Yet crime hovers on the fringes of society, under the veneer of utopia. 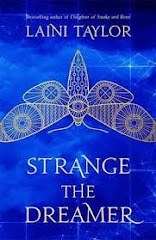 Police captain Ali's hopes of joining the elite government forces are dashed when his childhood deformity is discovered. His demotion brings him face to face with the corruption of labor agencies and also Maryam, an aspiring journalism student, who is unlike any local girl he has ever met. Ali and his unlikely sidekick must work together to find the reason so many laborers are dying. Against the glittery backdrop of the oil rich Arabian Gulf, Ali pursues a corrupt agency that will stop at nothing to keep their profits rising. As the body count rises, so does the pressure to settle the source. Can Ali settle the score before the agency strikes again? 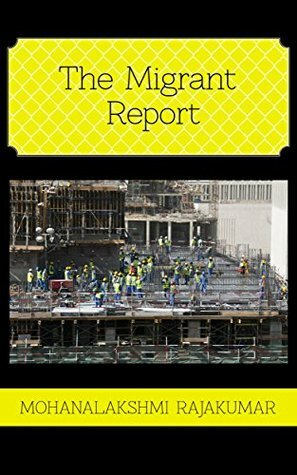 My Review: I was given a review copy of the Migrant Report by the author, Mohanalakshmi Rajakumar, in exchange for an honest review. 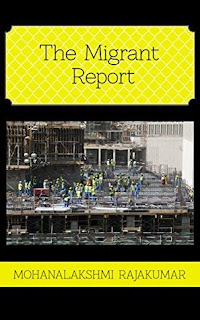 The Migrant Report is a wonderfully rich tale set in the Arabian desert, starring a cast of delightful characters that centers around the struggles of immigrant workers and some of the terrible conditions they endure. The story centers around Manu, a young Nepali man who immigrates to the capital to search for work. His sister, Sanjana, who already works in the capital as a housemaid for a wealthy American family, sets him up with a plane ticket and a sponsor, so that when he arrives he will be given an office job with an excellent salary. That way, the two siblings could send back plenty of money to help feed their younger siblings and their ailing mother. But things begin turning sour right away as Manu's passport is confiscated at the airport by his company rep, and he's forced to sign a contract in a language he can't read. When he arrives in his new home, he discovers his job is that of a labourer building infrastructure. His employers won't pay him, he can't leave the compound, and any complaints are met with punishment. While Sanjana feverishly struggles to hunt him down, it takes more than one person to take down a corrupted system of human trafficking. I fell in love with this book right from the start. Though the cover seems a little bland and the pitch on the back of the book is a tad confusing, the story itself is incredibly strong and well-done. I fell in love with each character, from Manu and Sanjana, to Ali, the police officer with one testicle, to Maryam, the feminist journalism student trapped in a culture that wants to tame her, to Paul and Cindy, the rich American couple struggling to balance their marriage with Paul's work. Every character was well-crafted and had their own conflicts, flaws, and motivations that all converged and complicated the main conflict. The Migrant Report shows us the beauties and shortcomings of the Arabian Gulf through the eyes of varying people who are entangled up in this horrible-- and unfortunately real-- system. At first I worried that there were too many POV characters, but Rajakumar balances each one with finesse, so the story flows clearly and every voice is necessary to the story as a whole. Along with characters, this book balanced all the plot threads wonderfully. With so many characters, each with their own personal conflicts, it can often be difficult to keep everything straight, let alone relevant to the story. But each little tidbit-- from Daniel and Sharif smoking hashish, to Cindy handing out blankets and bibles to the workers, to Maryam's parents growing insistence to find her a husband-- contributed to the main conflict with Manu. The tension and pacing were both steady and consistent, but not overwhelming. The book moved at a pleasant pace and the tension was just where it needed to be. This book didn't try to grab you by the throat and strangle you with intensity like some, but I found myself just as hooked to The Migrant Report all the same, simply because I loved the story, characters, and culture. The only problem I really had was the ending. Though the main conflict with Manu is wrapped up and most of the story is dealt with, it ends on a cliff hanger that literally had me flipping pages to see if there was a chapter missing. It felt like a very abrupt ending, leaving some threads unresolved. And while I can admit cliff hangers are a stylistic choice for a lot of writers, personally I believe in the stance of "every book should stand on its own." I believe this rings especially true with the initial book of a series, and then cliff hangers at the end of later books are not as much of a concern. However, despite this rule the only real reason it bothered me was because I wanted more! There were a lot of questions that I was left with at the end-- how will Maryam's paper turn out? What will become of Sanjana and Manu's relationship? What's going on with Cindy and her flirting around?-- and though this is a great way to lead into a sequel, there were simply so many that it left me feeling as though the story stopped too soon. There were also some accents put into the dialogue that I found a little off-putting. Again, this is a stylistic choice, as some writers really love making their dialogue as authentic to how people talk as possible. But I found the accents and broken English a little off since throughout the book, most characters were speaking various languages, some of which were their first language. I felt like it was added to show which characters were speaking in unfamiliar languages to them, but it was unclear if that was the case and didn't really add anything. Since most of the time they were speaking their native tongues and having things translated, having that bit of broken English only made it harder to read. Finally, I would hope that in future books, Rajakumar adds in a bit more description, because I loved the landscape and culture and wanted to immerse even further. I wanted to feel the sun on my face, taste sand on the air, and feel the weight of the Abaya. All the descriptions in the book were wonderful and well-written, so more would make the book just that much richer. TL;DR: All in all, 4/5 stars. Can I read the sequel, like, now?